The Best Home Staging blogs from thousands of top Home Staging blogs in our index using search and social metrics. Data will be refreshed once a week. Also check out Top Home Staging Youtube Channels list for Top videos on Home Staging. Home Staging newsletter is a comprehensive summary of the day's most important blog posts and news articles from the best Home Staging websites on the web, and delivered to your email inbox each morning. To subscribe, simply provide us with your email address. U.S. About Blog Welcome to Styled, Staged & Sold. This blog is hosted by Realtor Magazine, aims to give you the information you need to spruce up your listings and get them sold. We hope to create a blog community where you can openly share your experiences, insider tips, and design questions and challenges. Facebook fans 141,456. Twitter followers 214,881. Encinitas, CA About Blog The Home Staging Resource (HSR) was launched in July of 2006 by Audra Slinkey who is the creator and President of the HSR Training. Audra has personally trained thousands of stagers all over the globe. She is an Amazon Best Seller, RESA Innovator of the Year 2013, 2015 and 2017 and passionate about helping stagers and designers grow their business! Facebook fans 5,116. Twitter followers 2,461. About Blog Staged4more is now an online school that focuses on home staging education for home stagers, home sellers and real estate agents. This blog is Your guide to everything home staging. Check out all the free resources and tips available on our blog & podcast. Facebook fans 865. Twitter followers 808. Charlotte, NC About Blog Carol Smith, the founder of Creative Home Stagers, is a member of the International Association of Homes Staging Professionals (IAHSP) and the Charlotte Chapter. She is an Accredited Staging Professional and received her formal home staging training with Barb Schwartz, the industry leader and pioneer of the concept of Home Staging. Here you will find Home Staging Tips, News and Ideas. Facebook fans 256. Twitter followers 211. Facebook fans 2,763. Twitter followers 1,767. About Blog H&R Staging & Design's mission is to give you harmony, serenity, and money by beautifying and enhancing your home. On this blog you can read the latest trends and news from HR Staging and Design. Ottawa, Ontario About Blog KIKI Interiors is a home staging and interior decorating company established in 2003. We offer decorating/design services tailored to each client’s needs and individual tastes. KIKI Interiors works with clients to assist them in creating and reflecting their personal style in every room. Here you will find ideas for home staging and home decor. Facebook fans 536. Twitter followers 660. Toronto Ontario About Blog Red Barrinuevo’s love for “all things home” started at a very young age. He would rearrange his parent’s furniture whenever he had the chance as a kid. In 1993, he finished his degree in Business Management and worked in Sales and Promotions for a Multi-national pharmaceutical company for almost ten years. Facebook fans 2,685. Twitter followers 5,162. Tampa, FL About Blog Tampa Bay's luxury home stager. We transform homes into appealing properties to sell faster for the highest price. Our top luxury home staging tips can help you do the same. Facebook fans 100. Twitter followers 11. About Blog Sisters Erin and Tara are here to help with the marketing of your biggest asset-your home. Our extensive collection of furniture and decor is continually growing which allows us to stay current with changing trends while keeping a classic and inviting feel for each residence. About Blog The International Institute of Home Staging offers comprehensive content, specifically developed for home staging and property styling, not interior design or decorating. Experts from the home staging and styling industry from aroudnthe country have contributed to the course content. Facebook fans 5,963. Twitter followers 383. About Blog The Staging Guy understands what potential homebuyers want, and can skillfully transform your property into a must-have home. Staging your home is the answer! We have a large inventory of furniture, artwork and accessories that can be used to complement your existing decor or be used to Stage a vacant property. Facebook fans 1,141. Twitter followers 720. About Blog Upstage Your Space with Urban Presentations Home Staging. Offering inspired staging design ideas, creative solutions including furniture rental, affordable plans to prepare your property for sale. Facebook fans 745. Twitter followers n/a. Perth // Western Australia About Blog Perth's premium Real Estate Stylist. Specialising in presenting vacant properties for sale including furniture fit out packages. Facebook fans 1,028. Twitter followers 69. About Blog Aspen Colorado Home Stagers KNOW HOW to sell your home faster and for more money! Specializing in luxury home staging and high end leasing furniture packages. Facebook fans 933. Twitter followers n/a. About Blog BlueGrape Staging provides quality home staging services for home sellers, real estate agents, investors across San Diego and nearby areas. In Home Staging blog San Diego you will find articles for How to stage a home, Home staging tips and trends. Facebook fans 875. Twitter followers n/a. About Blog Hi, I’m Michelle, owner of Sanctuary Staging and Styling, LLC. With experience in buying, renovating, staging and selling homes, I can help you transform your most important and coveted asset into a home that you love or a space that any buyer can envision themselves living in. Facebook fans 724. Twitter followers n/a. Charlotte, NC Region About Blog Led by internationally recognized Master Stager Joan Inglis, the multi-award-winning Carolina Spaces team provides unmatched quality in luxury home staging, model home merchandising and interior design services. Facebook fans 678. Twitter followers 559. Naperville, IL About Blog The CHS team has been helping home sellers in the Western Chicago suburbs package their homes for the quickest and more profitable sale since 2005. We have established a track record of success having staged over $850 million in sold Real Estate. Facebook fans 633. Twitter followers 127. About Blog Marie Fox is the only Daytona Beach home staging professional that is trained in both interior design and home staging. Marie provides seminars to both homeowners and real estate professionals to bring knowledge and awareness of the home staging industry. Home staging dramatically reduces the number of days on market resulting in equity retention and quicker sales. Facebook fans 618. Twitter followers 1. About Blog Premiere Home Stagers has worked with a number of homeowners and partnered with realtors in staging or redesigning homes. Premiere Home Stagers can redesign your home so that it is comfortable for you. Facebook fans 546. Twitter followers n/a. Dane County About Blog We prepare your home to sell faster and for more money. Maximize your selling potential, reduce your time on market by staging your home. About Blog Home Staging step-by-step is an online training program to teach home sellers, real estate investors and real estate brokers how to prepare the property for sale and get more money for it. Short, easy-to-follow and practical, our program gives you all the tools to stage like a pro! Seward Alaska About Blog Northern Lights Home Staging and Design provides home staging, Interior Design and social media advertising for homes and vacation rental properties. Facebook fans 503. Twitter followers 151. League City, TX About Blog MDCfineliving Blog follows our journey as we dive into the deep waters of the Interior Design and Home Staging Business. Subscribe to our blog today. Facebook fans 95. Twitter followers 26. About Blog Home Frosting is Tampa Bay’s premier luxury home staging and interior design company. Karen Post is the Founder, President, and Chief Creative Officer of Home Frosting. In this blog you will find Our top luxury home staging tips which can help you do the same. Facebook fans 45. Twitter followers 10. About Blog The Decorating and Staging Academy, The-DSA, has been teaching others how to succeed for years. In fact, their training has been recognized, endorsed and/or utilized by industry associations. Facebook fans 2,434. Twitter followers 101. Albuquerque, NM About Blog ABQ Home Staging provides home staging and interior decorating services to homeowners and realtors. In this blog you will find Helpful tips and thoughts on home staging and real estate marketing in Albuquerque. Facebook fans 92. Twitter followers 69. About Blog My name is Jennifer McDougald and I am the owner and operator of all aspects of Legacy Home Staging in Pearland, TX. My family and I live in Manvel, TX (which is a small town just right outside of Pearland) on a few acres of gorgeous nature in my dream home. In addition to Legacy, I stay busy with my loving husband, 3 kids and our mini farm animal shenanigans. Facebook fans 21,572. Twitter followers n/a. Modena About Blog Home Staging Expert is a company dedicated to to bringing you professional home staging training, seminars and workshops. Our HSE Certification is an industry-wide standard in home staging. In this blog you will find home staging ideas, tips, staging training, seminars and workshops from staging experts. Facebook fans 315. Twitter followers 163. About Blog Hi, I’m Karen Hattan, Certified Expert Psychological Stager and Interior Decorator. Whether updating your current home, or readying your home to place on the real estate market, I can help! Read my tips on home staging and interior decorating in my Home By Hattan blog. Facebook fans 632. Twitter followers n/a. Houston, TX About Blog WhyNotHomes.com is a virtual staging and design company. We are dedicated to helping Real Esate Agents sell properties faster. Facebook fans 507. Twitter followers n/a. About Blog Vannessa Rhoades is the owner and lead home stager at Three Bears Home Staging. By combining our staging expertise and creative design savvy, we help sellers make their house more appealing to potential buyers (often by using what they already have), resulting in a quicker, more profitable sale. Facebook fans 180. Twitter followers 287. About Blog I have been helping people prepare and stage their homes for sale for over 10 years and I love doing it! My Mission is to provide home sellers with the knowledge, skills and resources necessary to increase the perceived value of the home, shorten the sales cycle and broaden the range of potential buyers. Facebook fans 995. Twitter followers n/a. St Louis, MO About Blog Leslie Eicher is obsessed with home design. Home staging is a proven marketing technique designed to help your home sell more quickly. At Staging That Sells, we offer personalized consultation for your property and provide the most current styles in home decor for every room, with results that are guaranteed to wow potential buyers. Facebook fans 181. Twitter followers 883. About Blog As a stager, I love to educate clients about the staging process and how to see their homes through buyers' eyes. Selling a house can be a stressful time and my goal for my clients is to help them diminish this stress be creating a staging plan. This creative challenge and process is a true passion of mine and one I look forward to sharing with you. About Blog Hi! I’m Terry McGrew, Owner and Designer of Revitalized Designs. I am a Professional Home Stager offering anyone selling or redesigning their home with tips, tricks and secrets in bringing a fresh and revived look in making their home warm and inviting with a bonus twist of occasional DIY craft ideas. Calgary About Blog Leanne is a native Calgarian who recently moved back to Calgary after living and working in the medical device industry in the San Francisco Bay Area from 1994 to 2013. She decided to move back to Calgary to reconnect with her family and proceeded to get her home of 19 years ready for sale. Facebook fans 24. Twitter followers 104. About Blog A Palm Beaches Home Staging blog. Here you will find effective home staging ideas. About Blog HI THERE! I'm Daniela living here in the nation's capital of Ottawa, Ontario. When I'm not staging, I'm blogging or helping out with home renovations. Orlando About Blog MHM Professional Staging, LLC is lead by Megan Morris, CEO and founder. MHM Professional Staging is your one-stop source for all your real estate staging, home staging and design needs. Here you will find effective home staging ideas. Facebook fans 1,374. Twitter followers n/a. 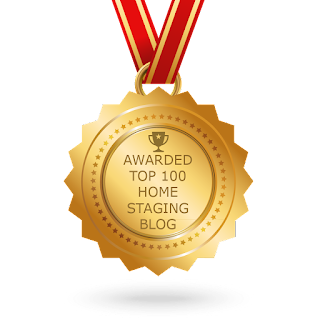 About Blog CSP Certified Staging Professionals is the no.1 Training Academy for Home Stagers since 2001. Empowering people to embarked on an exciting career in home staging. Facebook fans 6,456. Twitter followers 2,874. About Blog White Orchid Interiors is a leader for professional home staging and interior design. We specialize in furnishing and staging homes in every interior design style and price point. In this blog you will find news articles, style guides, latest design trends and more from the home staging industry leader. Facebook fans 10,645. Twitter followers 451. About Blog A Laval-based small company of interior designers specialising in a wide range of residential and commercial projects. As a certified Home staging Experts, our mission is to create a first impression through design to help sell homes for the highest dollar amount in the shortest period of time. Facebook fans 194. Twitter followers 32. About Blog INhance IT! is a full service staging company with services available to builders and real estate professionals. About Blog Home Staging Montreal team provides real estate staging (Home Staging) and interior redesign services in Montreal, Laval, West Island, South Shore and surrounding areas . Facebook fans 651. Twitter followers n/a. About Blog We stage vacant homes to SELL! When homes are completely empty they can feel cold and abandoned. Staging a vacant house allows buyers to imagine themselves living in the home instead of focusing on stark walls and bare floors. About Blog My name is Margareth Jaeger, owner of Jaeger Home Staging Photography LLC. I am the heart and soul of this wonderful venture, which to me is a adventure that never ceases to amaze me. I offer modern, Home Staging in European Design and style and Real Estate Photography in Phoenix greater area -Arizona. Facebook fans 96. Twitter followers 53. About Blog Starfish Home Staging helps home sellers reduce stress, dress up their properties and ultimately achieve their goals of best price/shortest time on market. Washington, DC About Blog Miranda White Studio is a home staging company that aims to help homeowners sell quickly and at the highest possible price. Facebook fans 1. Twitter followers 9. Indianapolis, IN About Blog Cachet 317 is an Indy based Home Staging, Redesign and Organizing company. Our goal is to bring fresh ideas for marketing your home to sell, or make your current space look amazing and function great. About Blog A Certified Staging and Redesign Company Serving Tompkins County NY, Ithaca NY, Dryden NY, Lansing NY, Cortland NY. Our goal is to prepare homes for sale by maximizing their potential. We transform homes to appeal to a broad range of buyers, thus getting your home sold quickly and for the best price. New York, USA About Blog In this blog you will find latest trends in the sphere of virtual staging. Here you can find out how has the industry changed within last several years, what tendencies appeared and which problems can be solved by means of virtual staging. We also share important tips for real estate agents, talk about marketing, and write about home staging, decor, and interior design. Facebook fans 261. Twitter followers 519. Kitchener/Waterloo About Blog Shauna Lynn Simon is fiercely committed to creating beautiful homes, and providing the highest level of service with every project. She believes in being a part of the complete process, whether you’re preparing your home for sale, or creating the home of your dreams, Shauna Lynn provides fresh ideas and designs for your home. Facebook fans 1,167. Twitter followers 1,401. Kitchener, Ontario About Blog My name is Patricia Stockie-Abdallah and I am the founder and lead designer of Simplicity Home Staging & Design. Simplicity Home Staging & Design is a home staging and design company. Facebook fans 129. Twitter followers 419. San Antonio, TX About Blog We are 2 friends who set out to start a Home Staging business and got a bit carried away. After staging hundreds of millions of dollars worth of homes, you can now learn from our achievements (and mistakes—hey, we like to keep it real). Our passion is the education, inspiration and growth of others who choose to get on the fun, crazy train of Staging! Facebook fans 3,275. Twitter followers 77. About Blog Melissa Marro is one of the best known stagers in the US. She is an annual featured speaker at the Real Estate Staging Industry’s Convention held in Las Vegas and currently holds the position of President for the Board of Directors in the trade organization. Facebook fans 2,692. Twitter followers n/a. About Blog Red House Staging & Interiors offers professional home staging and interior design. Our team is comprised of professionals from a variety of backgrounds and expertise to provide you with a great staging and impressive results. The blog is updated daily with resources, ideas, projects, tips & home tours. Brisbane, Australia About Blog I’m Imogen Brown, the owner of Home Staging Brisbane a Home Staging company based in Brisbane, Australia. I write about all aspects of Home Staging and Property Styling. If you are looking for advice on how to present your house for sale or wondering if I could be the right stager for you and your property there’s plenty of info here. Facebook fans 1,088. Twitter followers 2,302. Toronto & The GTA About Blog Welcome to Hope Designs, Toronto’s premier Home Staging and Interior Decorating team. If you are selling your home or looking to update your current living space, we have a customized service that will suit your needs. Whether you are decorating, renovating or just dreaming about the possibilities; Hope Designs can help. Facebook fans 547. Twitter followers 2,202. Ventura County, CA About Blog Ventura County Home Staging was created by Pam Smith in 2010. having previously owned Stage It In A Day! Ventura County Home Staging promises to provide each and every client with the finest and most caring service available. Facebook fans 1,509. Twitter followers 520. About Blog My name is Michelle Minch and I am the owner of Moving Mountains Design, an LA home staging company based in Pasadena, CA. Moving Mountains Design offers home staging and model home services to home owners, investors, builders and real estate agents. Facebook fans 1,565. Twitter followers n/a. Short Hills NJ/ Your Home About Blog Staging By Lara is a full service, luxury design company offering expertise on the most effective way to present your space, whether you are looking to decorate one room, or stage your entire home. Facebook fans 374. Twitter followers 54. St Johns, FL About Blog Sell or Dwell provides staging methods that focus on improving your home’s appeal by transforming it into a welcoming, attractive product that buyers want! Facebook fans 1,338. Twitter followers 73. About Blog Diane Holm is the owner of HSAD. Her degree in Interior Design and 17 years of practice in the design field have given her the experience and knowledge that is necessary to create beautifully staged properties. She holds the certification of Accredited Staging Professional (ASP) and is the past President of the Fort Lauderdale chapter of International Association of Home Staging Professionals. Facebook fans 167. Twitter followers n/a. St. John's, NL, Canada About Blog Welcome to Homestyling by Cathy! We help homeowners sell their houses quickly for maximum profit by staging them to appeal to the target market. Facebook fans 3,759. Twitter followers 492. Facebook fans 3,161. Twitter followers 600. About Blog OnStage is the Pacific Northwest’s premier home staging company. Understanding the needs of the seller and the mindset of the buyer is one of our specialties. We help you show buyers more than just a house. We help them envision a home. Our expert designers work with you to create a plan that compliments the home’s interior and exterior style & enhances the home’s layout. Facebook fans 2,915. Twitter followers n/a. Birmingham, AL About Blog Established in 2009, SWAG Home Staging & Design has helped realtors and homeowners with the sales of properties ranging from town homes and condominiums, to mid-market and million dollar homes. Facebook fans 2,026. Twitter followers 383. Cheshire, CT About Blog PJ & Company Staging and Interior Decorating offers in-home decorating and redesign to help you redecorate, renovate or simply refresh the decor in your home. We also offer professional home staging services to those looking to sell their home. Facebook fans 1,770. Twitter followers 287. Rochester, NY About Blog Act Two Home Staging offers Home Staging, Decorating, Redesign, Furniture Rental and more. Leona Piro is a member of AIDP and RESA and has over thirty years experience in the real estate field. She has been staging and decorating Rochester area homes for the past six years. Facebook fans 1,127. Twitter followers 2,083. Chicago About Blog At Styling & Staging, we want every element in your home to spark joy. We are a custom interior styling and home staging business because each home is unique. Facebook fans n/a. Twitter followers 686. About Blog At HST we help you market your home to capture the hearts ….and offers of potential buyers. Our mission is to provide a professional consultancy service that effectively recognises the target market for a property and beautifully stage the property to attract buyers that are prepared to buy quickly and generously. Facebook fans 667. Twitter followers n/a. Troy, MI About Blog Impact Home Staging Experts have a creative and professional team that provides excellent interior design & home staging services. About Blog Specializing in staging luxury homes and working with design clients that just don't have the time or the inclination to make their home look like home. We also design award winning model homes and sales presentation centres. When the new homes are sold we provide an awesome team of ladies to conduct the decor selections. Atlanta, GA About Blog At Graciously Simple Home Staging, we know that a seller’s goal is to sell his/her home as quickly possible at the highest value! Staged homes have been shown to give sellers an edge over other listed properties in the market. Graciously Simple Home Staging works with Realtors and Homeowners to provide home staging consultations and showcasing services resulting in a great first impression. Facebook fans 506. Twitter followers 22. About Blog Since 2006, Suze Interiors has earned a solid reputation among realtors and home owners for delivering proven results. With their extensive inventory of furnishings and decor available, each home is custom staged to suit its architecture and style. The staged homes sell in record time, often over list price. Facebook fans 439. Twitter followers n/a. Indianapolis, IN About Blog I am certified by HGTV staging expert and Home Staging for Dummies author, Christine Rae's program - Certified Staging Professional® Instructed by ASID Interior Designer Cathy Hobbs. We offer residential staging for occupied and vacant properties, commercial staging and design services, private inventory rental, redesign services and a variety of interior decorating services. Facebook fans 413. Twitter followers 11. New York, NY About Blog Homeage, a full-service home staging firm serving the New York tri-state area, stages owner-occupied and vacant homes to maximize the owner's equity. Facebook fans 399. Twitter followers 46. About Blog Vision Home Staging have the pleasure of staging homes and turning them from emotionless houses to homes with ambience. In Vision Home Staging & Interiors blog you will find Tid bits, tips and more from Brenda. Facebook fans 326. Twitter followers n/a. About Blog Style Fusion Home Staging is an award-winning home staging company serving Central Florida homeowners. In this blog you will find Expert advice and individualized solutions. Facebook fans 324. Twitter followers 11. Newcastle, New South Wales About Blog My name is Jaculin Dodson and in late 2015 I started Peony Property Staging. I am a mother of two, currently a FIFO wife and along with a love of interiors, architecture and real estate I really love helping people when they are selling the biggest asset they own, their home. Facebook fans 296. Twitter followers 16. About Blog Hi! I’m Lydia, an authentic energetic entrepreneur with a passion for helping people and a God given eye for design. I often get asked what inspired me start a home staging company. I like to think that I was actually pulled into this. Born with a talent that eventually evolved into a passion coupled with burning ambition and creativity; it’s fair to say that it was only a matter of time. Facebook fans 302. Twitter followers n/a. Facebook fans 255. Twitter followers n/a. About Blog Foxy Home Staging will unlock the potential in your home, They are the team to turn to for Brisbane home staging and property styling. In this blog you will find styling advice, tips, shortcuts and home staging inspiration, the Foxy Home Staging Blog is full of information for budding DIY's. Facebook fans 166. Twitter followers n/a. About Blog My name is Shari Hubbard. Tallahassee Home Staging will help you prepare your home for sale in the real estate marketplace. Here you will find articles for home staging tips and ideas. About Blog Interior decorator and artist Allison Krajcik has helped clients and small business owners create welcoming interiors for more than a decade. About Blog Seattle Modern Home Staging is owned and operated by Denise Owen - a Realtor with Keller Williams Realty in Downtown Seattle. Read SMHS BLOG for the latest news, updates, design inspiration, and musings from Denise Owen! About Blog Hi I'm Kim, Proud founder of Home Staging by K, UltimateStager Academy certified and member of RESA (Real Estate Staging Association). I have a background in interior decorating and several years experience staging home furniture showrooms. About Blog My name is Cassee Cunningham pronounced (Cassie). I am the owner of Stella Home. My process of staging is getting to know the space, light, architectural era updates and the personality of the community the house is located in. Once I feel I know the house, I then start to create a highly customized design palette. About Blog Truckee Home Staging and Redesign was started in 2007 when living in Truckee. Here you will find ideas to prepare your home for sale by creating a warm, inviting look that buyers will respond to. CONGRATULATIONS to every blogger that has made this Top Home Staging Blogs list! This is the most comprehensive list of best Home Staging blogs on the internet and I’m honoured to have you as part of this! I personally give you a high-five and want to thank you for your contribution to this world.